Date/Time: Tuesday 11-25-2014 at 7:18 AM. 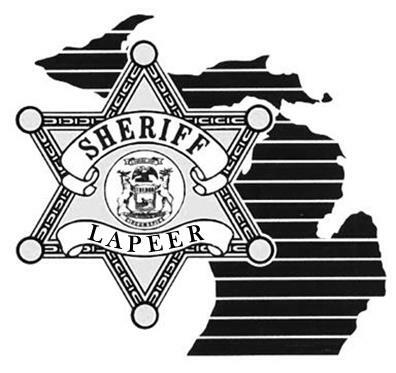 On Tuesday 11-25-2014 at 7:18 AM, Lapeer County Sheriff’s Deputies responded to an injury traffic crash on Van Dyke north of Linck Road in Brown City (Burnside Township- Lapeer County). Robin Bissett age 29 from Deckerville was the driver and lone occupant of a 2003 Ford Explorer traveling south on Van Dyke. A thin layer of ice existed on the roadway with strong winds occurring. Robin Bissett’s vehicle crossed over the center line to the northbound lane into the path of a 2015 Freightliner style box truck driven by Denny Moore age 44 from Cortland, Ohio. The collision is considered head-on. The 2015 Freightliner departed the east side of the roadway coming to rest within the ditch. Robin Bissett’s vehicle departed the west side of the roadway coming to rest within the west ditch with the engine separating from the vehicle. Robin Bissett had to be extricated from the vehicle. Robin Bissett was transferred to McLaren- Lapeer in serious condition with life threatening injuries. Denny Moore sustained non-life threatening injuries and was transported to McLaren- Lapeer. The Lapeer County Sheriff was assisted at the scene by Imlay City Police Department, Michigan State Police Motor Carrier Division, Brown City Fire Department; Marlette Fire Department, Lapeer County EMS Ambulance Service, Marlette EMS Ambulance Service, Lapeer County Road Commission, and Yakes Towing Service in North Branch. The roadway was closed for normal vehicular traffic for three hours for rescue, investigative, and clean up efforts. Excessive speed and alcohol are not contributing factors. Icy roadway conditions due to freezing drizzle and strong winds are believed contributing factors. This traffic crash remains under investigation by the Lapeer County Sheriff’s Office. Anyone who witnessed or has information is requested to contact Detective Sgt. Jason Parks at 810-245-1381 or jparks@lapeercounty.org.